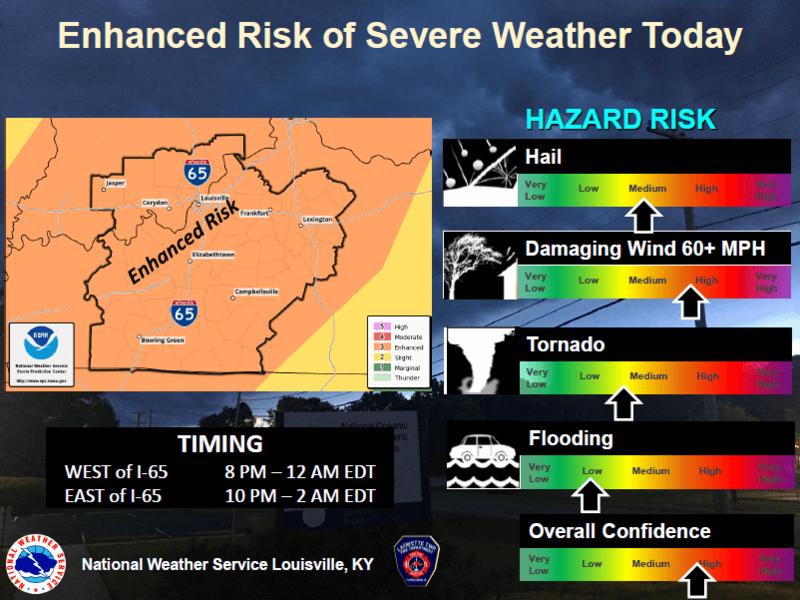 The National Weather Service in Louisville, Ky Issued an update on the potential for severe weather for today. Click the pictures to see the slides. 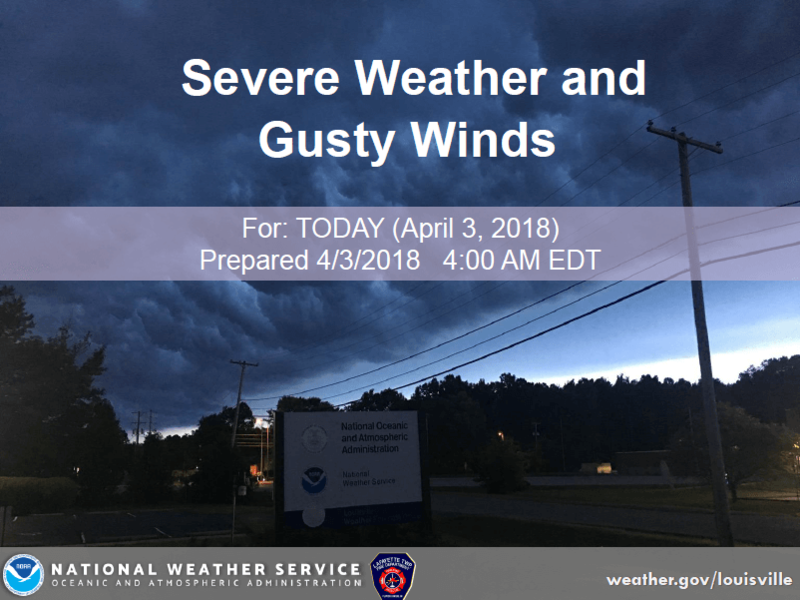 Remeber to activate your weather radios today. 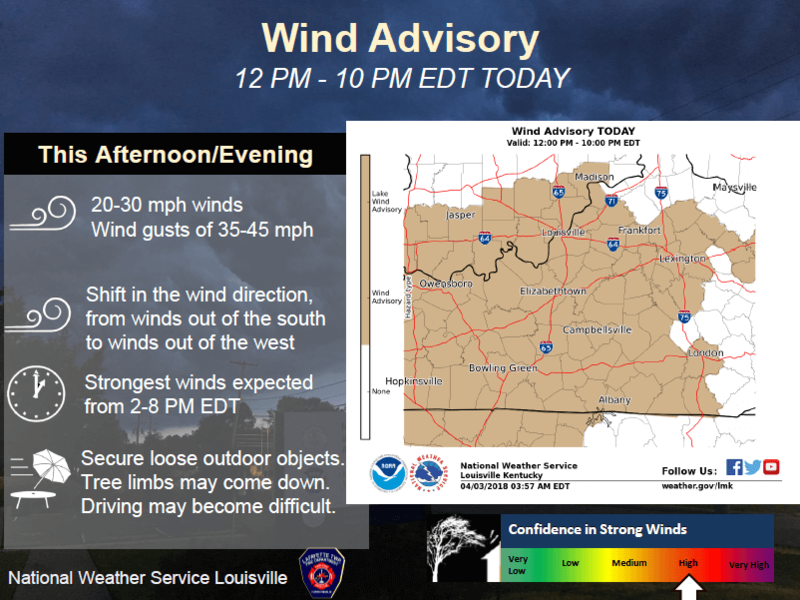 Monitor local media outlets to get up to the minute weather updates.